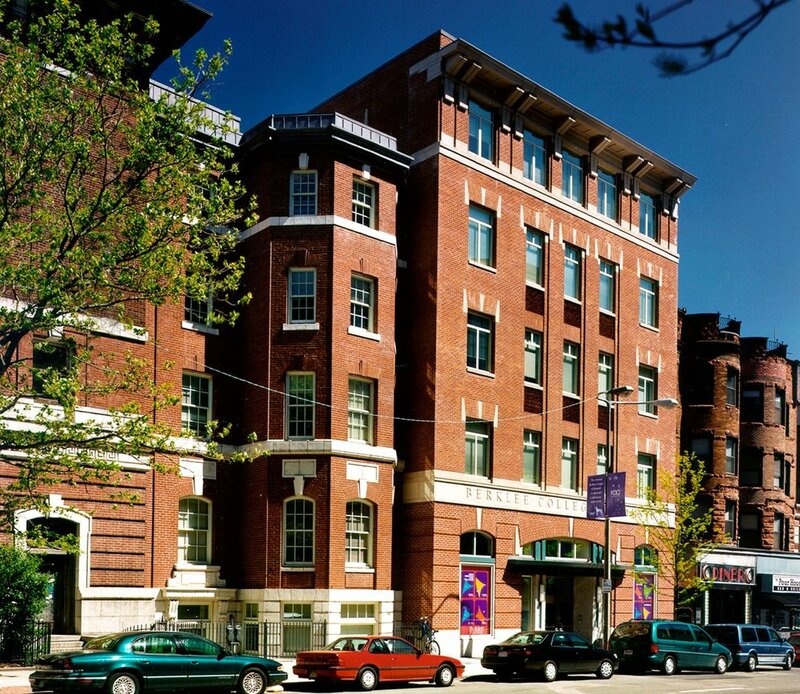 Our renovation and adaptive reuse of two buildings in Boston’s historic Back Bay neighborhood created the Genko Uchida Academic Complex. 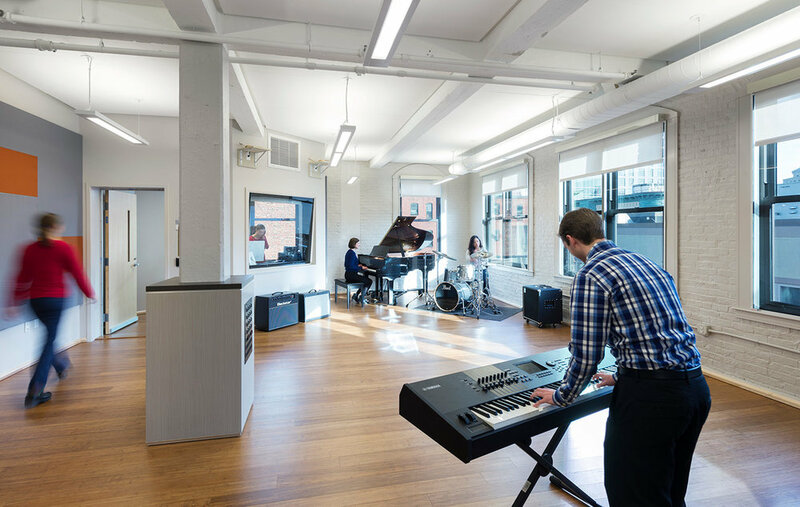 This academic, performance and administrative center for Berklee College of Music includes a flexible 200-seat recital hall, multipurpose classrooms, rehearsal facilities, ensemble and individual music labs, and administrative, advising and student services offices. 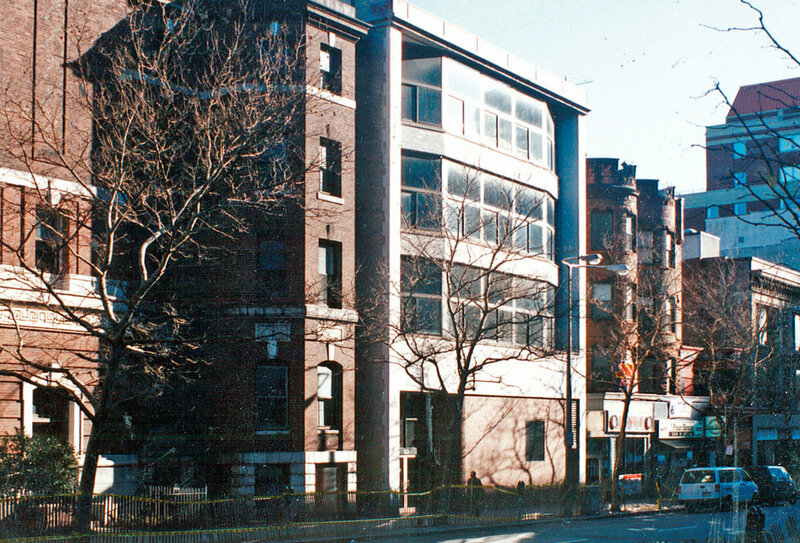 The project involved the comprehensive renovation of a 1910 concrete frame building, with an added top floor, and restoration of a traditional Back Bay townhouse, plus a seven-story addition behind. 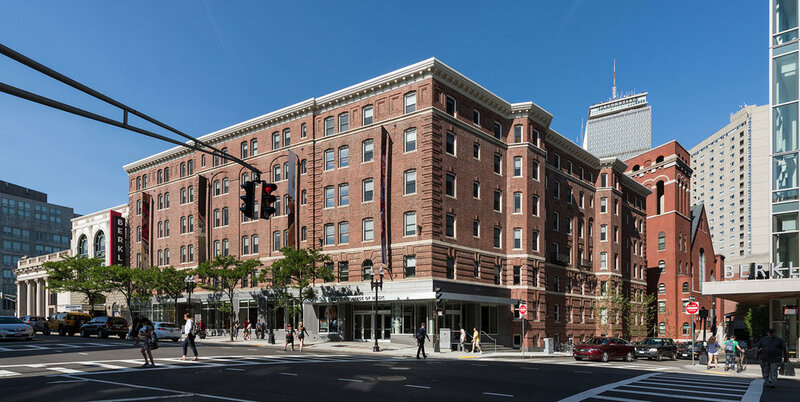 The 58,000 sf complex is wrapped in new brick and limestone facades, creating an exterior institutional image befitting the Back Bay Historic District. 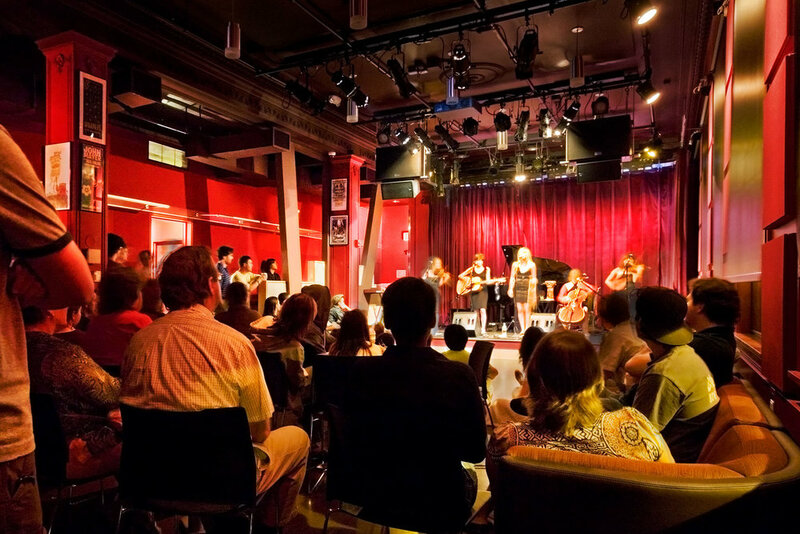 The interior expresses Berklee’s vibrant culture with contemporary interior treatments. All facilities are wired to the campus digital computer network and are equipped with the latest audiovisual and acoustic technology. Berklee later retained MDS to renovate the adjacent building to create Cafe 939, a new student-run, public performance cafe and campus activity center within the historic, architecturally significant Tennis and Racquet Club Building. 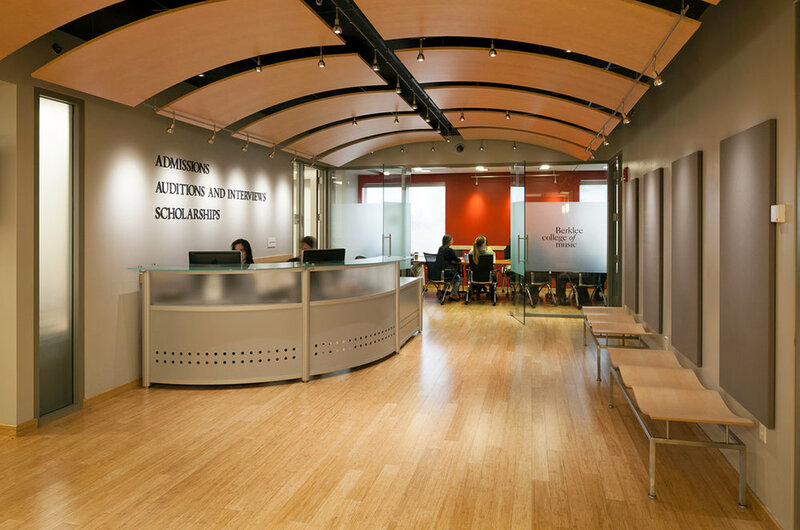 The second floor Student Services Center connects directly to the Uchida Complex through a second-level connection, where MDS reconfigured, expanded and updated the Admissions Department suite. An expanded reception area and meeting rooms equipped with state-of-the-art technologies support the Admissions Department operations.